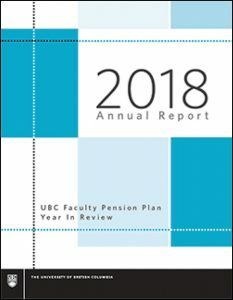 The UBC Faculty Pension Plan’s annual reports and audited financial statements are available online in PDF format. Interested in how the UBC Faculty Pension Plan is performing? Find out in our latest annual report. Archived annual reports are presented in reverse chronological order. Archived financial statements are presented in reverse chronological order.